Traditionally New Years Eve is celebrated at our home, and we invite all the family to attend, if they desire. It is not as glamorous as a nightclub, nor is it as expensive. No one has to buy a new outfit to ring in the New Year at our house. There is always plenty to eat and to drink, but after the party as I was laying the empty bottles into the garage, I discovered that I need to step up to the plate for a couple of individuals who brought their own wine to the house. There were no sweet wines on the beverage table, and I guess we are at fault for not picking up a couple of bottles for our guests that don’t enjoy the wines that we had that evening. I noticed that there were two empty bottles of Moscato along with all the other empty bottles, and I know that we did not have these bottles in stock. Of the two bottles of Moscato that I found, the first one sounded more interesting. 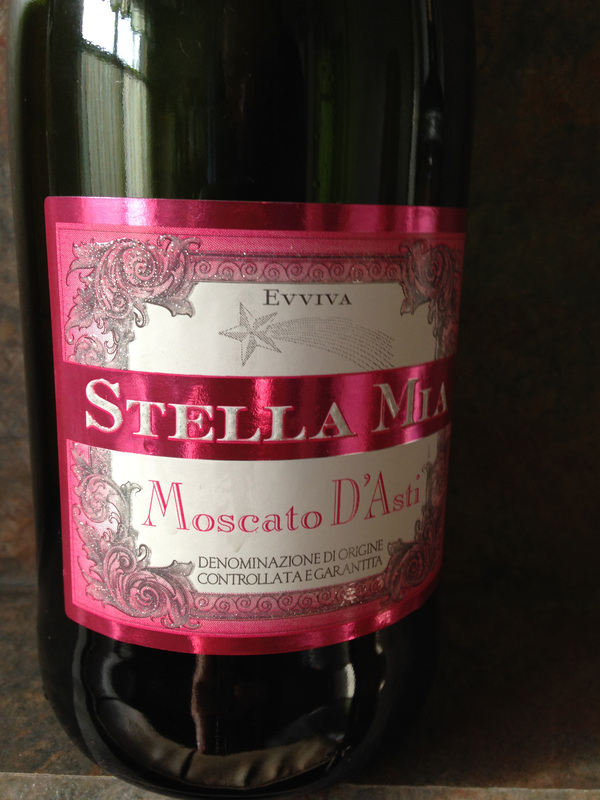 It was a bottle of Stella Mia Moscato D’Asti NV. Of course Asti is from the Piedmonte and there is a Piedmonte DOCG for the area, and most people think of Asti Spumante, that sparkling wine from Italy, which is found used in Mimosas quite a bit, and enjoyed on its own merits as well. This wine is made from the varietal Moscato Bianco and the finished wine is what the Italians refer to as “Vino frizzante” or slightly effervescent. I did not see this wine, or I would have sampled it, but I will venture to say that it had a bit more nuance as compared to the other Moscato wine that was poured that evening. 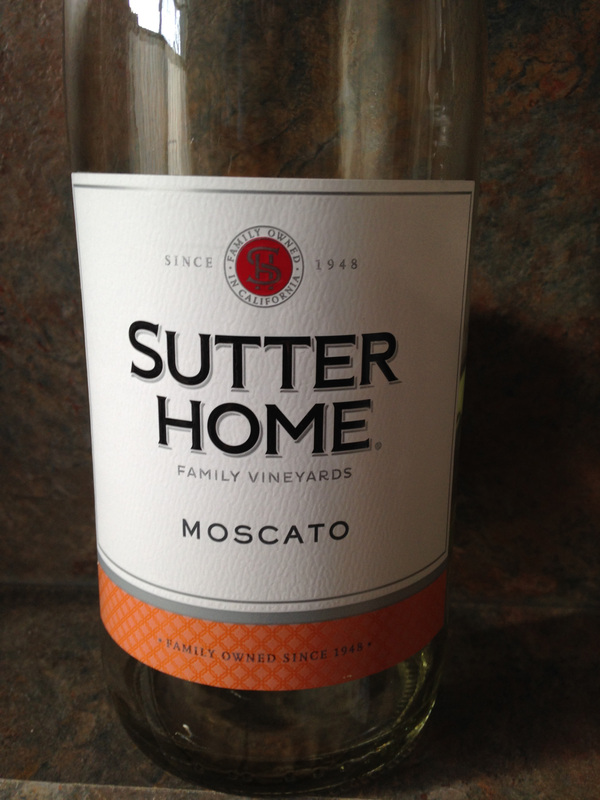 The other Moscato wine is from one of the twenty some labels from the Trinchero Family Estates and is from their Sutter Home Winery. This winery can be traced back to 1874 in St. Helena in Napa Valley, was shuttered during Prohibition and resurrected by the Trinchero Family. According to their website Sutter Home Moscato NV is the first wine that was made at the newly restored winery in the Fifties. The label on the bottle actually shows it to be “sweet” and since they have been making it all of these years, I guess that must have a strong following for this particular wine. So Happy New Year to my guests that have a sweet tooth and brought their own wine to celebrate with, and I shall try to find something for them to try next year. This entry was posted in Wine and tagged Italy, Moscato, Moscato Bianco, Moscato di Asti, Piedmonte, Stella Mia, Sutter Home, Trinchero Family Estates. Bookmark the permalink.